A long-time favourite golfing destination in Europe, Greece is best known for guaranteed sunshine, authentic cuisine and fantastic golf courses. Golf in Greece has steadily been growing in the last few decades with the opening of two superb golf courses in Costa Navarino, making it a perfect sunny getaway for a golf holiday or extended golf break. Just a four-hour plane journey away, travellers can enjoy an array of excellent golf courses and fantastic accommodation options to create an unforgettable golf holiday in Greece. Not only does its stunning sandy beaches and authentic cuisine entice golfers from around the world, Greece is also a key golf destination in Europe due to its all year-round mild climate and affordable options available for a budget golf holiday. 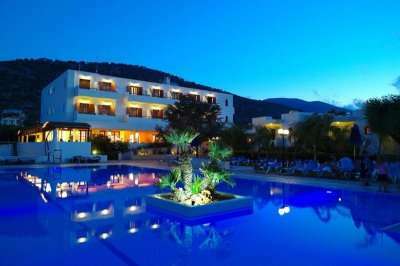 Alternatively, the Ikaros Beach Luxury Resort & Spa situated on the north coast of Crete, offers a luxurious retreat in a 5-star resort. For an all-inclusive golf holiday option in Greece, the Kyknos Beach Hotel in Crete is also a superb option just moments away from a long stretch of unspoilt beach. There are a wide range of fantastic golf hotels in Greece. Pick your favourite accommodation from the options below, or click on View More to see our full range of golf resorts in Greece. Look through our range of the best golf courses in Greece below that will be sure to satisfy even the most demanding of golfers.If you have any specific questions about the golf courses you can visit please do get in touch. Costa Navarino, situated in the Messinia region, is a spectacular golf resort in Greece and is home to two five-star luxury hotels as well as two fantastic golf courses which have already gained excellent recognition across Europe. The Dunes, a signature course by Bernard Langer, is commonly rated as one of the top courses in Europe. Home to a stunning layout and an invigorating challenge, the Dunes golf course has really put golf in Greece on the map making it an excellent destination for a golf holiday. Other options for golf in Greece includes the Bay Course, designed by the famous Robert Trent Jones Jnr boasting an imaginative layout that is sure to test all standards of golfer. 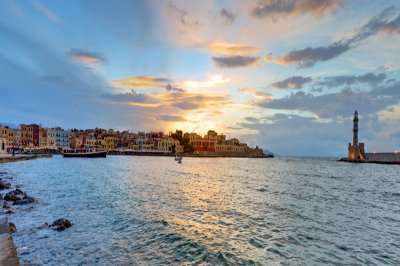 Crete is the largest island in Greece, and is filled with old villages, picturesque beaches, clear seas and superb golf courses. Known for its rugged yet captivating landscape, Crete has captured the hearts of many to become a centre of golf in Greece. 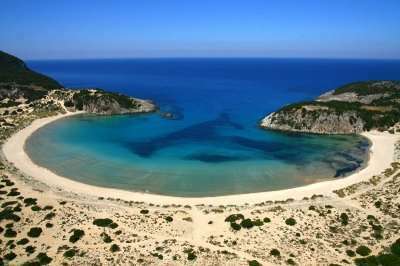 The summer climate in Crete lasts all the way from March to November, making it an excellent option for a golf holiday in Greece. Crete is home to the Crete Golf Club, designed by the golfing legend Bob Hunt, featuring a spectacular 18-hole golf course in a beautiful location in Hersonissos. 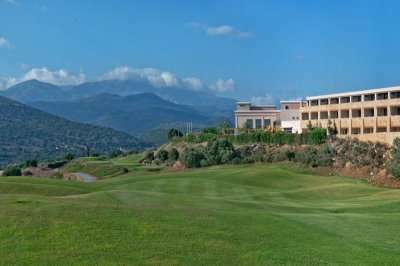 Supported by the unrivalled beauty of the Mediterranean landscape, the Crete Golf Club course is a real gem and an excellent course to challenge your golfing ability in Crete.